The Center for Search and Investigation TN is asking for assistance in locating this child. I have attached a flyer showing her photo. 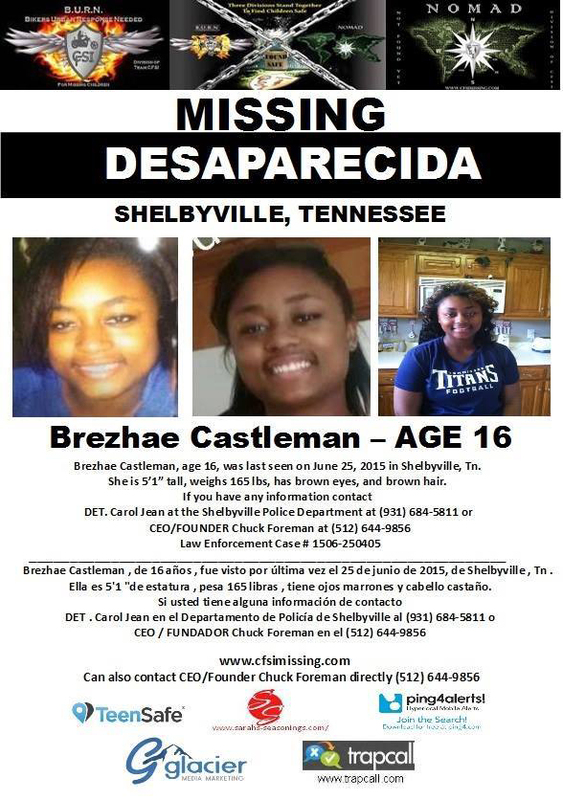 Brezhae Castleman, age 16, was last seen on June 25, 2015 in Shelbyville, Tn. She is 5'1" tall, weighs 165 lbs, has brown eyes, and brown hair.